If an Italian family of coachbuilders with a history of working on Ferraris can’t be immune from the Porsche disease then who can be? There’s nothing spectacular about this latest video from Petrolicious, but it captures the intangible feeling revheads from across the globe have for their cars. 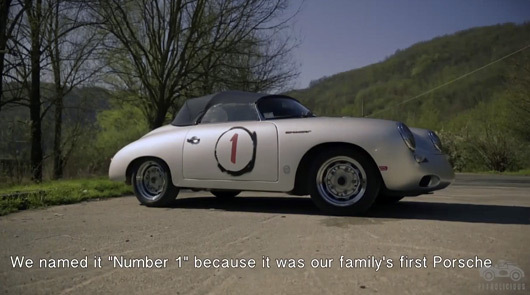 And who wouldn’t love to have a Porsche 356 Speedster in their family?! What a lovely short film … scenery, beautiful car, and charming owner.